Iran’s complex, violent military history encompasses two world wars, foreign intervention, anti-government revolts, border disputes, a revolution, a war against Iraq that lasted over eight years, and its desperate quest to become a nuclear power. 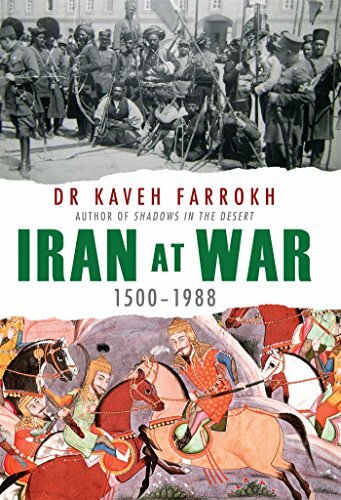 Following his award-winning book, Shadows in the Desert, which explored the military history of ancient Persia, in Iran at War Kaveh Farrokh turns his attention to modern Iran's wartime history. Beginning with the Safavid dynasty of the 16th and 17th centuries, he traces Iran’s political and military progress to its dramatic turning point in 1979. In doing so, Farrokh demonstrates how Iran’s current bellicosity on the world stage was shaped by centuries of military defeat and humiliating foreign influences from the likes of Russia and Great Britain. Including illustrations and photographs, this book provides an unparalleled investigation into the bloody history of modern Iran.